Frankly, I've never fished in RI. I've always passed it by on the way to MA, or NH. Moreover, unlike most fish and wildlife departments in the Northeast, Rhode Island's Department of Environmental Management (RIDEM), Fish & Wildlife Division is totally silent on the existence of wild trout resources in the state. So if you want to fish for wild trout in this state, you'll need to go exploring. Interestingly, the folks in the Office of Water Quality aren't quite so cagey as RIDEM. 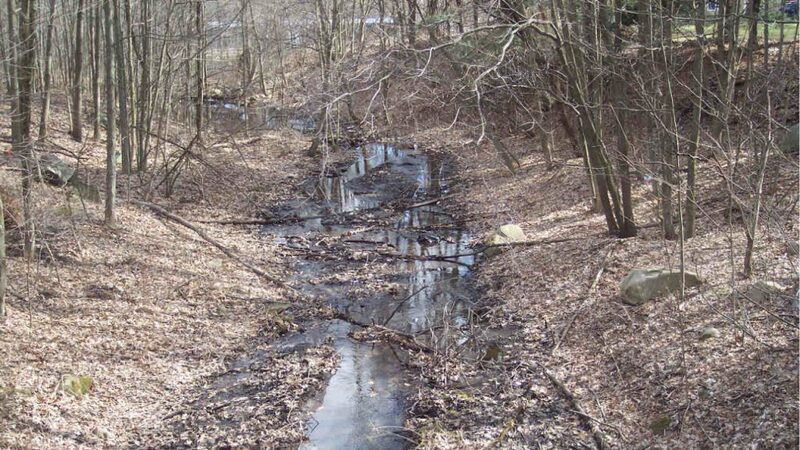 In the 2008 Water Quality Assessment, they stuck a field into the dataset which describes each stream segment as holding cold water species, warm water species, or unattributed. So, in theory, the cold water streams should hold trout: viewed in a map (say combined with the EBTJV watershed data), you should have a pretty good idea where to look. Good luck!